The location, the cleanliness, how responsive the staff was. A good value for money hotel - we got what we expected. Fair rooms, clean, plenty of breakfast. The room was nice, very clean and had a French door opening to a Juliett balcony. Bathroom was fine. Stay at location should be, yes, no , maybe...location great. Food in the area, great. Hotel, renovated, nice. Excellent position for train and light rail facilities. Location, near train station and local public transport. Good price for the location. 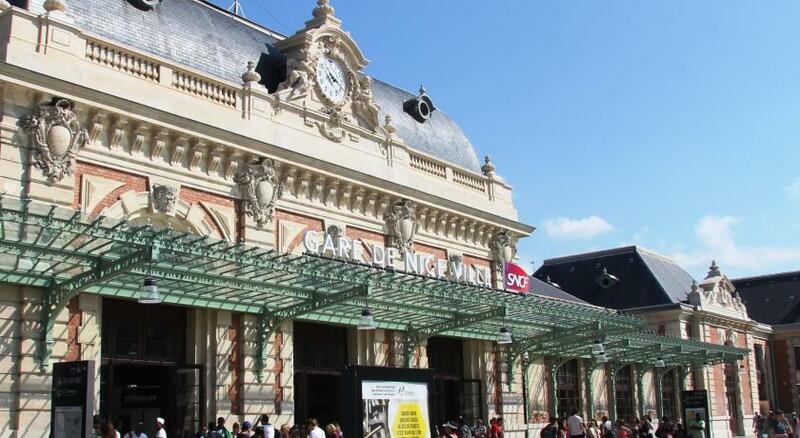 Located a 2-minute walk from Nice-Ville Train Station, Hotel Azurea offers air-conditioned rooms. 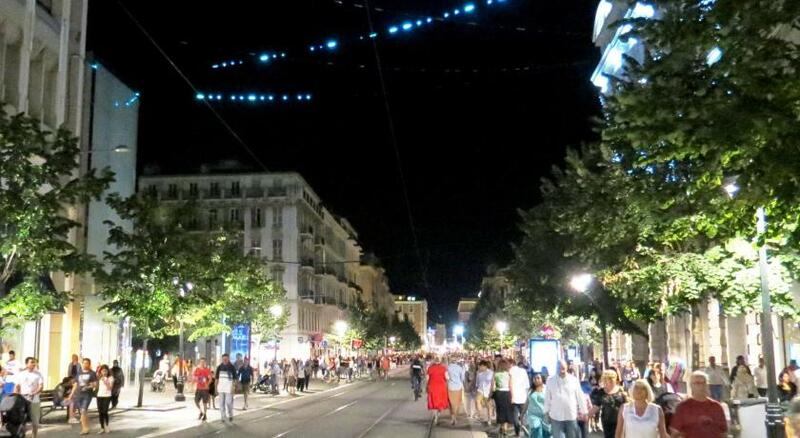 The Promenade des Anglais is an 18-minute walk away. Guest rooms at Hotel Azurea are simply furnished and feature a flat-screen TV, mini-bar and safety deposit box. Each room has a private bathroom with a shower. A buffet breakfast is served each morning in the hotel’s breakfast room, where there is a flat-screen TV. Hotel Azurea has a elevator and the reception desk is open 24 hours a day. Additional services available include free WiFi and luggage storage. Nice's Old Town and the Cours Saleya are a 20-minute walk from the hotel. When would you like to stay at Hotel Azurea? The rooms have a plasma-screen TV with satellite channels. They also include a mini-bar. This room has 3 single beds and one extra bed. 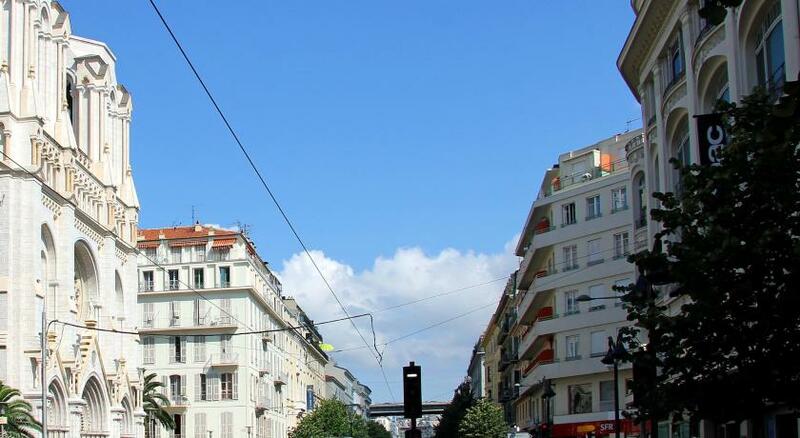 Located at the very heart of Nice, a few meters from the train station,the tramway, the avenue Jean Médecin and the promenade des Anglais, the Azuréa *** hotel welcomes you in a warm atmosphere. Upon arrival, you will be enchanted by the welcome, our large lobby reserves for you with a modern design allowing you to relax even before checking in to your room.Cheerful and comfortable, the 68 rooms in the Azuréa hotel, decorated with colours from the south of France, guarantee you will enjoy your stay. House Rules Hotel Azurea takes special requests – add in the next step! Hotel Azurea accepts these cards and reserves the right to temporarily hold an amount prior to arrival. Regretfully stayed here end of March 2019. Upon arrival we were told there was no room available for us despite the fact I booked the room in August 2018. We were also not made aware that there was no room available prior to arriving. The hotel sent us across the street to another hotel for the night and we were instructed to come back in the morning when a room would be available for us for the 2nd night of our stay. The new hotel was a lower star rating than what we had paid for so we were understandably disappointed. This also added the extra hassle of moving our luggage between hotels. Our disappointment was confirmed as we were shocked to find no access to stairs due to renovations, leaving the only route up to the rooms for all guests via the lift, which is a breach of EU health and safety law. The bathroom was also in a very poor condition with tiles barely attached to the walls and a filthy shower. As compensation for the hassle we were offered a free breakfast. On the 2nd day on returning to the original hotel in the morning with baggage as instructed the previous night, we were informed our room wasn’t ready yet and we could have breakfast whilst this was sorted. Eventually we were taken to our room and at first glance it appeared to be as expected. However on closer inspection several issues became apparent. Firstly, the shower head was positioned above the shower door and the height and angle was not adjustable meaning when turned on the water completely cleared the shower cubicle (which was about big enough to fit a very small person, my partner is a 6”4ft rugby player whose shoulders touched wall to wall) and most of the bathroom creating almost a perfect shower in the doorway to the bathroom. Needless to say it was clearly not built to be a wet room. The beds were squeaky and exceptionally uncomfortable. The bed linen although was changed everyday felt like either used or may be too old. The windows and doors are not double glazed which means you hear loads of noise until 2 a.m. Something I found very rude was that it's a trend among the staff members to knock once and immediately come inside your room without you even having a chance to answer back, happened to me on 3 occasions and it was quiet uncomfortable as you have no privacy in your room. Cleanliness, location and hot water was good. The bed from hell. Plus it has a rubber sheet between the sheet and the mattress that was super uncomfortable and the mattress was hell. Poor internet. The owners were RUDE. The location was pretty good. Size was ok. It's worse experience ever I had before! THE HOTEL HAS NO HEATER AND AC DOESNT WORKED! We arrived with my family in the night! When I step into the room it's like freezing in fridge! AC doesn't worked! We checked out by next day! Dear members of Booking.com plz noted never book this hotel in winter! Go to Paganini Hotel and you can get discount! Dirty hotel surly staff except the very friendly receptionist on arrival the breakfast area being painted at breakfast time the lack of Delphi and many essential food items . We stored our cases upon checkout but could not access upon our return as receptionist was missing for more than 30 mins and couldn’t be found. Soviet-style service combined with freesing room, 70 ’s style and general tackyness. Noise from the street and in the hotel (screaming, shouting). People smoking marijuana outside the hotel. Room very dated. Extremely small shower. Shower head couldn't be attached to the holder, had to hold it. Impolite staff. Close to main street and seaside. Good breakfast. Clean towels every day. Liked thé breakfast ,its all u can eat. There is nothing to mention here really. Our stay was good. We had a room on the 6th floor which was comfy and welcoming. Breakfast is fresh and the staff are making sure is full at all times. Location was great, 2 min walking from the Central Train station.